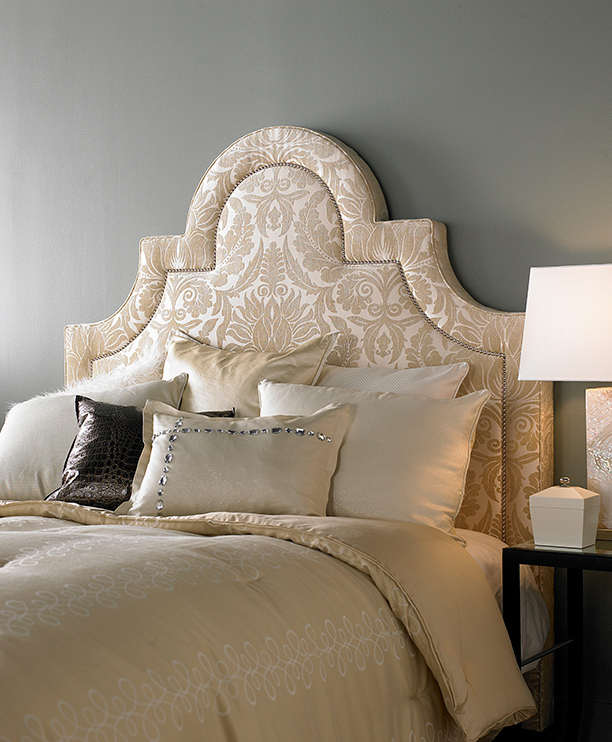 Create a dramatic centerpiece in your master suite with an upholstered headboard. 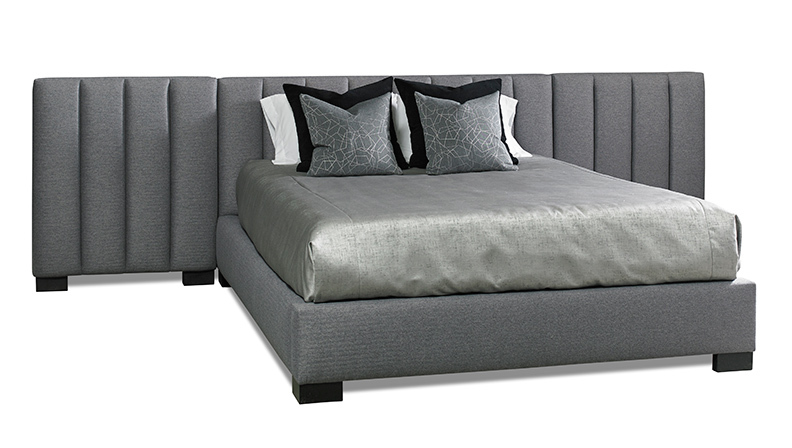 Glenn queen headboard and rails, by Precedent, available at KDR Designer Showrooms. one: Jensen headboard, available at Ethan Allen. 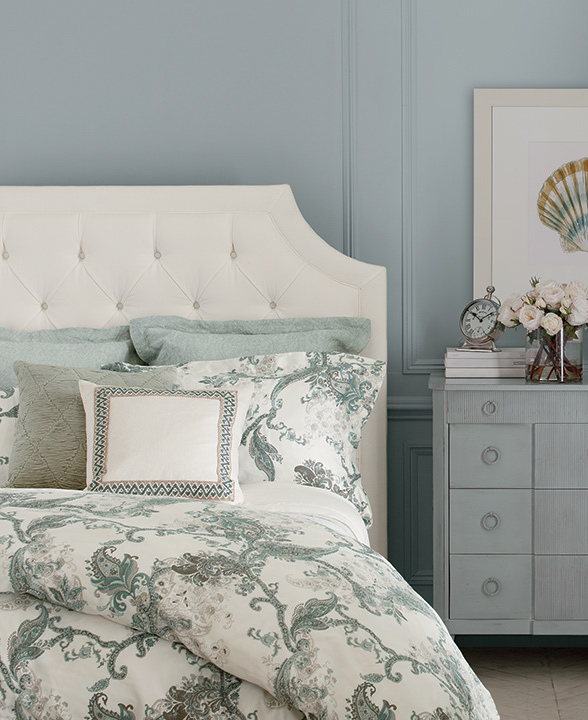 two: Camilla nailhead trim headboard, available at Amini’s. 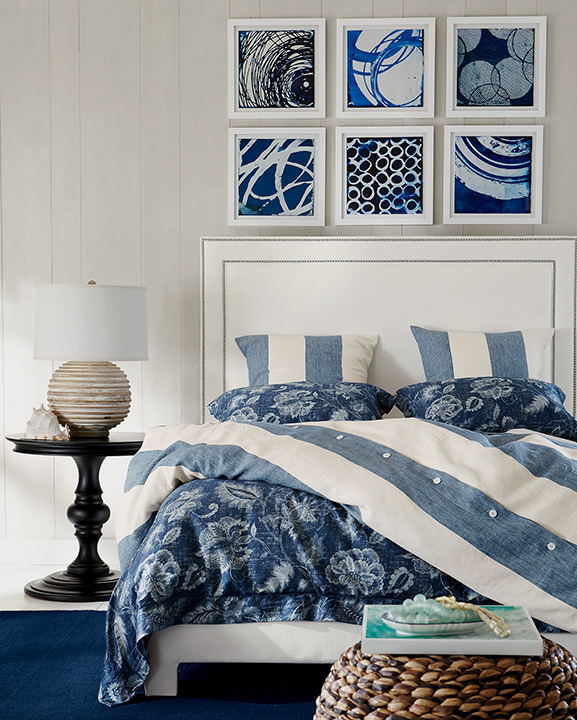 three: Toulouse headboard, available at Pottery Barn. four: Alison headboard, available at Ethan Allen. five: Barcelona Queen Bonnet, available at Bassett Furniture. six: Patterned nailhead, available at West Elm. 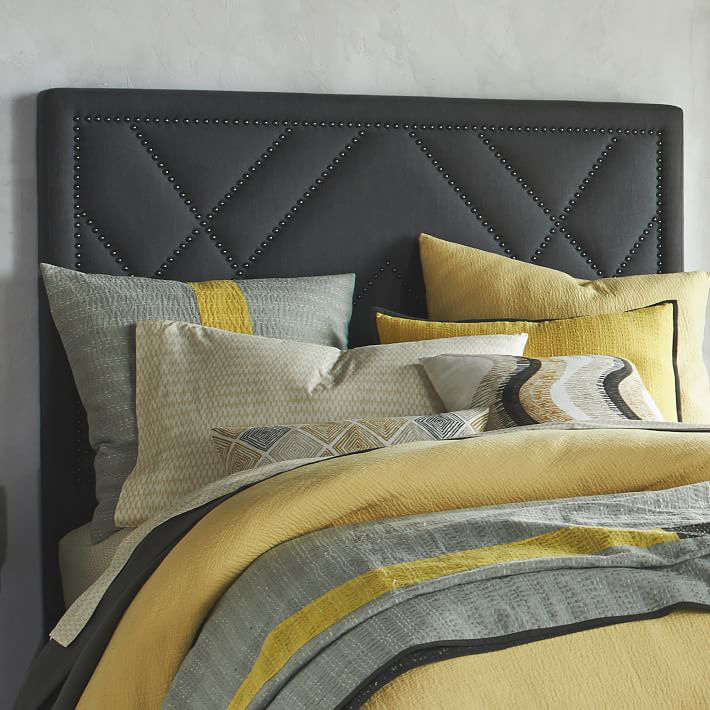 Create a dramatic centerpiece in your master suite with an upholstered headboard. Choosing an upholstered style rather than wood adds softness to your space.